SPECIAL OFFER: BUY 10 FOR $10! Brevin Knight personally hand signed these Cleveland Cavaliers 8x10 photos in blue Sharpie. Each Brevin Knight autographed Cavaliers 8x10 includes an individually numbered, tamper evident TRISTAR Authentic hologram. The authenticity of your Knight hand signed photo can be verified at www.tristarauthentic.com, where you can also print a certificate to display with your item. 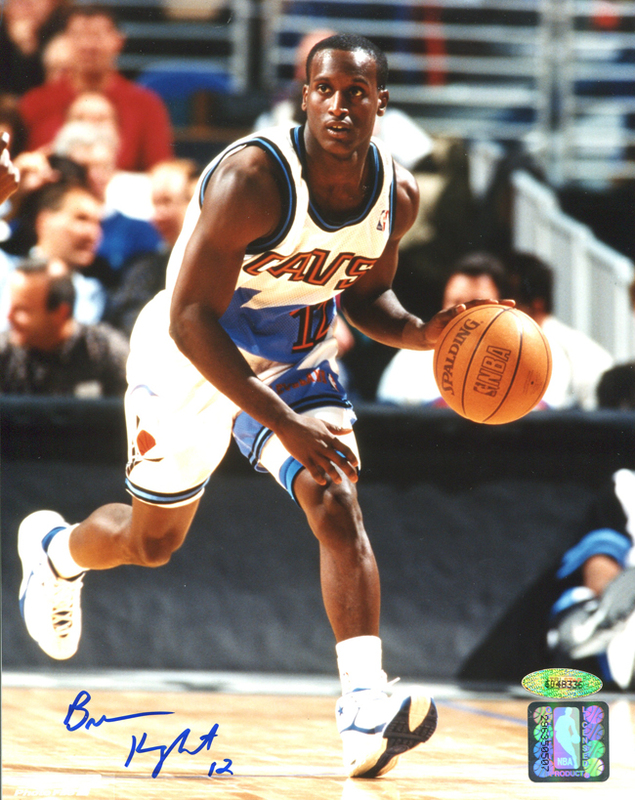 Drafted by Cleveland with the 16th overall pick in the 1997 NBA Draft, this basketball star led the NBA in steals per game and was named to the All-Rookie First Team.